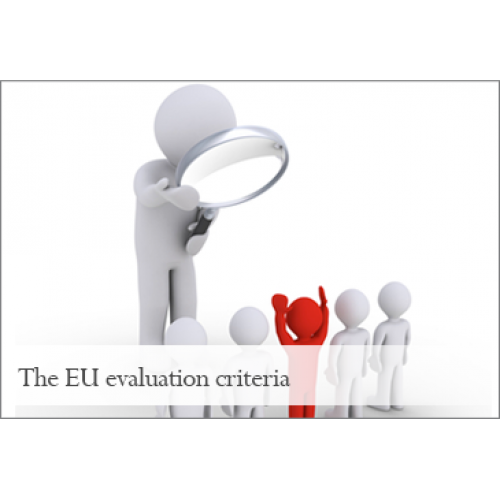 Objective : The aim of this class is to provide an overview on project evaluation criteria as well as more detailed information on how EC assessors perform in the evaluation of - mainly - project proposals. With the aid of supporting documents such as a model of EC evaluation grid, a secondary aim is also to highlight aspects that should be kept in mind while planning an action. Main target group: NGOs, including foundations and associations, trade unions and public sector (universities) as well as consulting companies working in development cooperation projects may be interested in this class. Independent consultants already working in the field may require an update as well as international grant-makers may be willing to set/revise evaluation criteria for selection of projects and allocation of their funds. Experience and previous knowledge in international development cooperation are not requested. Structure: This class provides general information on the evaluation criteria and basic methodology together with concrete tips on how to recognize relevant aspects to integrate into project planning as well as what to keep in mind during project implementation, in the context of EC project evaluation.